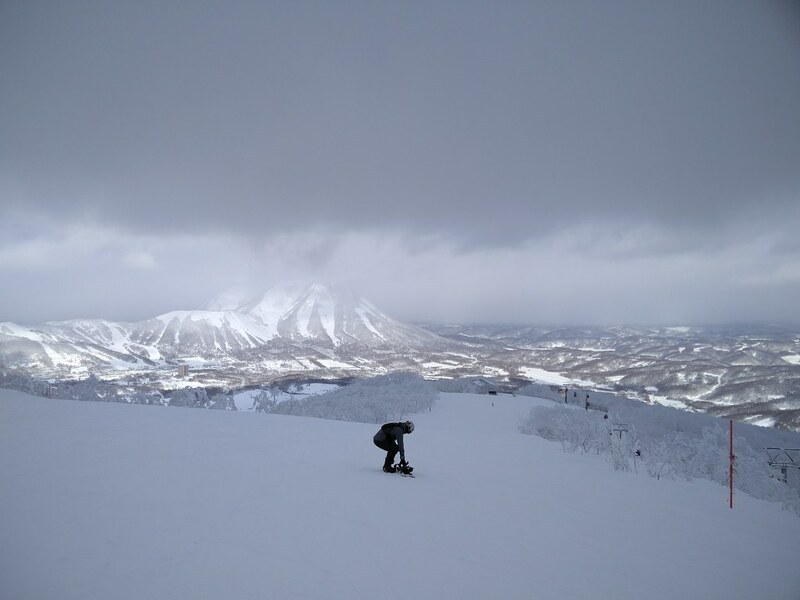 Aside from skiing in Annupuri, Hirafu and Kiroro, we spent the most time in Rusutsu as we visited over 3 days, while staying at Niseko. Rusutsu is located close to the town which is also its namesake and the town of Makkari. 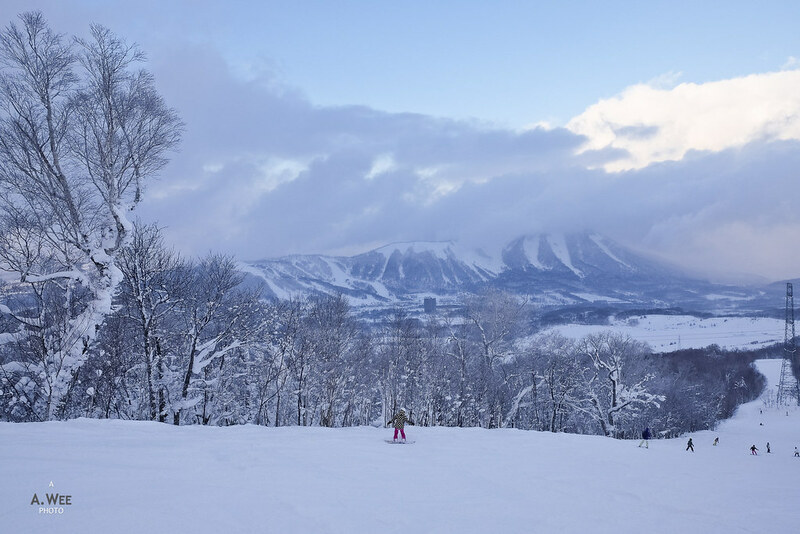 Geographically it is on the other end of the distinctive Mount Yotei from Niseko. Thus this is also one resort that affords good views of Yotei, which is also known as the Fuji of the North for its symmetrical shape. 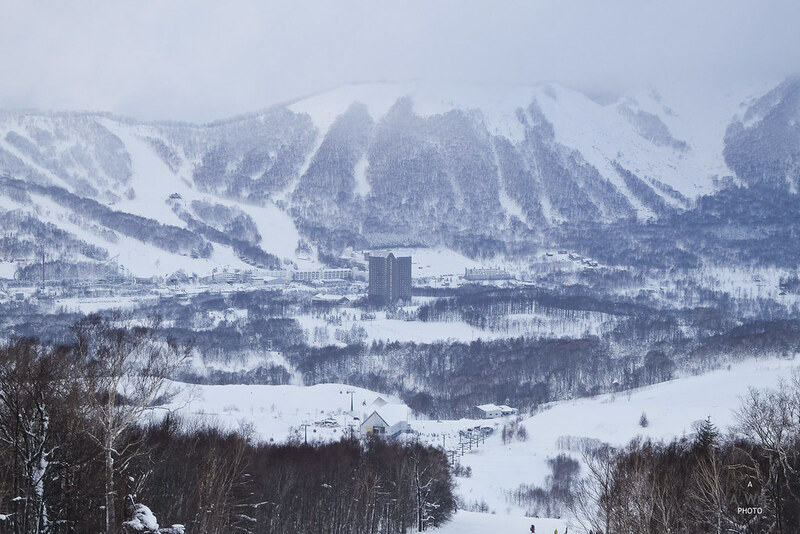 Like many ski resorts in Hokkaido, there are direct shuttle buses to this resort from Sapporo Chitose Airport. 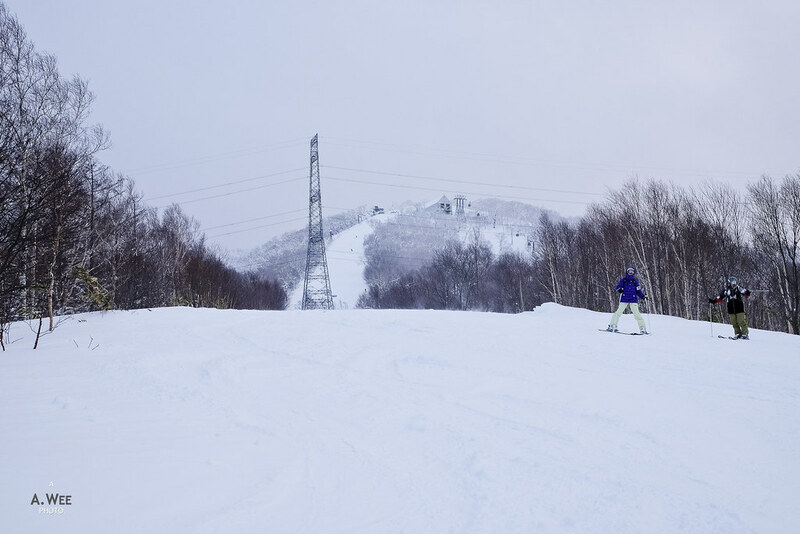 For the cost conscious, there are free shuttle from Sapporo town centre departing from the Rusutsu resort sales office with one departure in the morning at 8am and a return from Rusutsu in the evening at 4:50pm from the Westin Rusutsu. 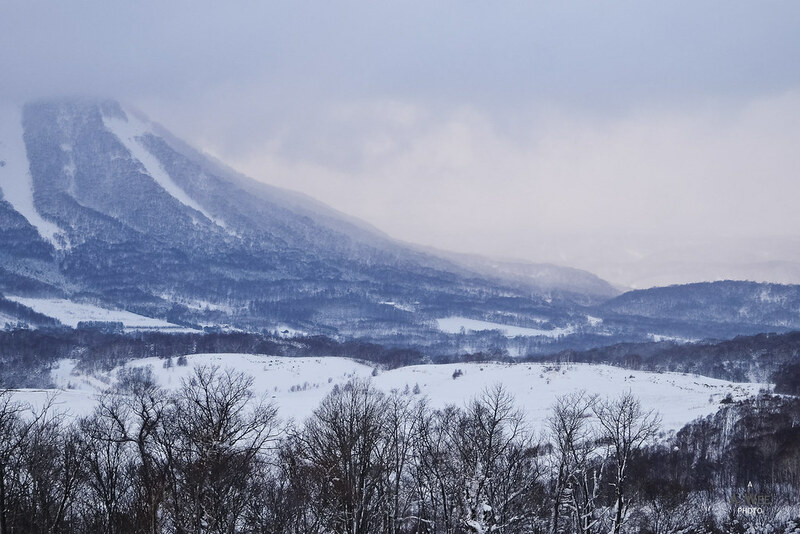 In our case, we had rented a van and it took us slightly more than an hour to get here from our lodging at Niseko. 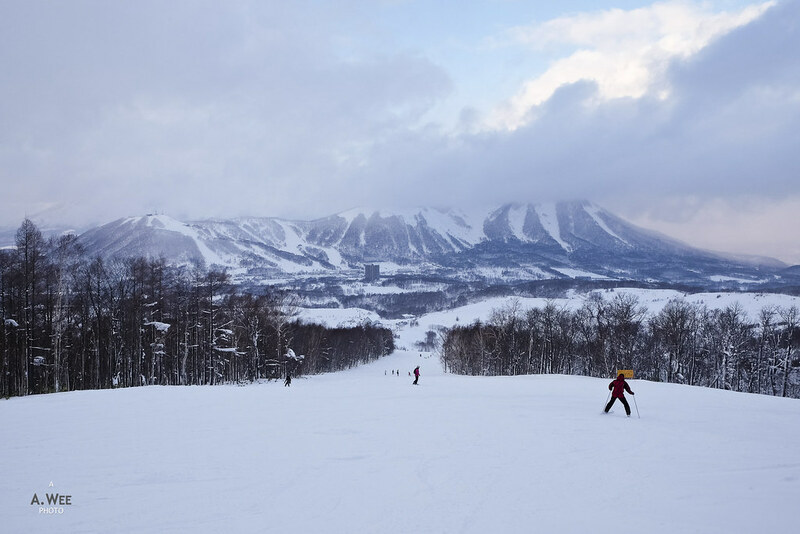 It is thus very convenient to access the other ski resorts in Hokkaido with a rental car. Rusutsu Ski Resort is a little bit like Sun Valley in Idaho in that there are 2 separate mountain area creating 3 distinct ski area. The larger one that most skiers would be interested in would be the East Mountain and Mt. Isola ski area and then there is the shorter West Mountain which is on the other side closer to the resorts. Both areas in Rusutsu are linked by a gondola that connects both mountain making is convenient. 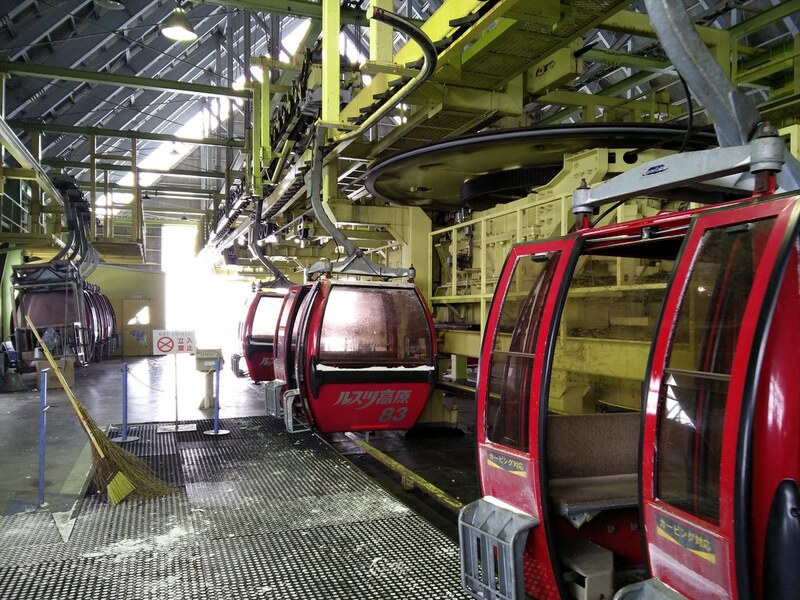 There is also a gondola connecting the Westin Rusutsu with the East Mountain which is the starting location for skiers wanting the larger mountain. Two other gondolas whisk skiers up to the summit of East Mountain and Mt. Isola from their respective base. While the gondolas were modern enough, the ski racks outside the gondola was practically useless as it does not hold a snowboard nor does it hold any powder skis in the 90mm waist range. Fortunately the gondolas were never too busy and it was comfortable inside for 4 people with their boards and skis. Aside from the gondolas, Mt. Isola has the bulk of the covered chairlifts that keeps skiers warm during powder days, and they were quite fast as well compared to the other chairlifts in Hokkaido. Several pair lifts also exist in the East Mountain sector for skiers to return back to their base at the end of the day as there is no exit from the Isola base area. 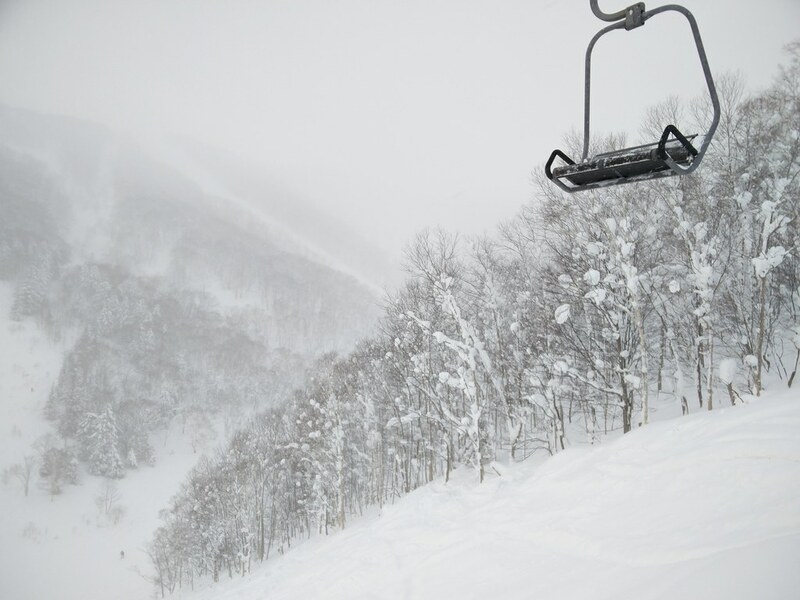 A day pass for the chairlifts cost ¥5,500 (~$49) which is on par with what most of the resorts in Hokkaido charges. For a resort that is slightly larger than Kiroro, the price was quite a good value. 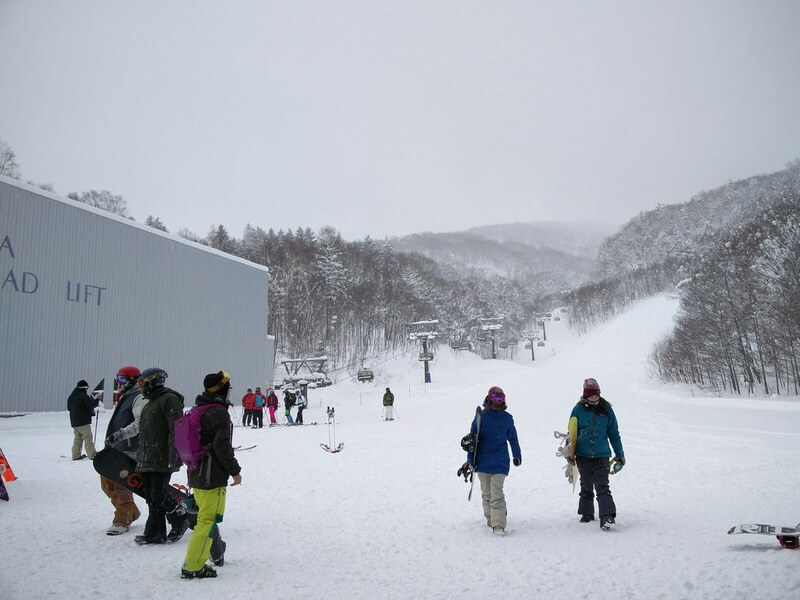 It is also worth noting that Rusutsu sees less crowds during the weekdays as it is further away from Sapporo and Niseko. Most of the beginner runs are to be found in the smaller West Mountain which I did not visit. Though I expect the ski school to be situated there as well resulting in a quieter base area in East Mountain. There is a section green marked runs in the base of the East Mountain accessible from a pair lift, along with a stretch of green run in the valley between the East Mountain and Mt. Isola. 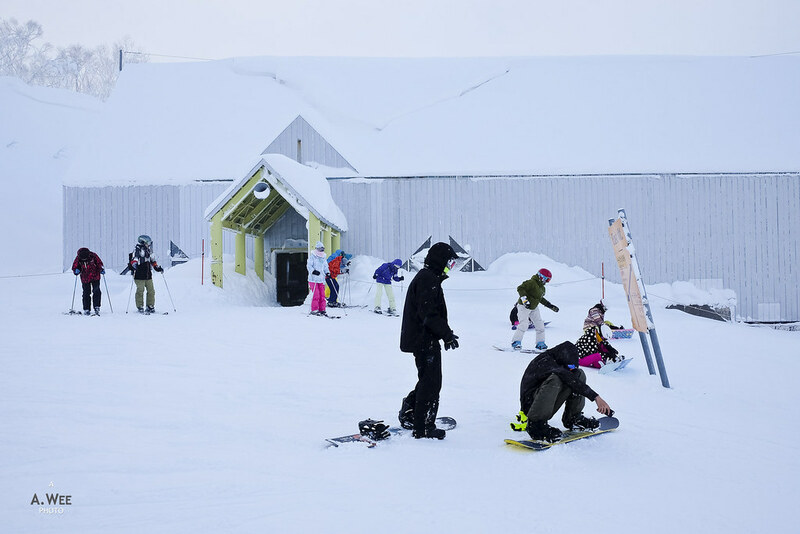 The lack of green runs in Rusutsu also meant it caters to skiers and snowboarders who are proficient in turning and carving. Intermediate level skiers would be happy to spend time in these resort and I consider myself in this category of skier. Many of the red marked runs especially those in Mt. Isola offers very consistent gradients and visits in early January to mid February should guarantee a powder surface for skiers and snowboarders. Nearly all the runs from the top of Mt. Isola to the bottom of the 2 base, where the Cafeteria Steamboat and Isola is located at, are of a moderate length. As the vertical descent is not huge, these runs does not take up much energy and it is common for skiers to head back down the same trails a few times over the course of the day. Intermediate skiers would also find it easy to get down East Mountain via the East Tignes and East Vivaldi run which provides nice views of the West Mountain and the Rusutsu Resort. To access Mt. Isola, skiers need to go down East Tignes and exit towards the green-marked Fuboru run to have the easiest way down to the Isola Gondola base station. Most of the time skiers would just remain at Mt. Isola considering it is the largest area and it is time consuming to exit this area should you want to come back again. My tip is thus to leave the East Mountain to the end of the day and just spend the morning in Mt. Isola area. 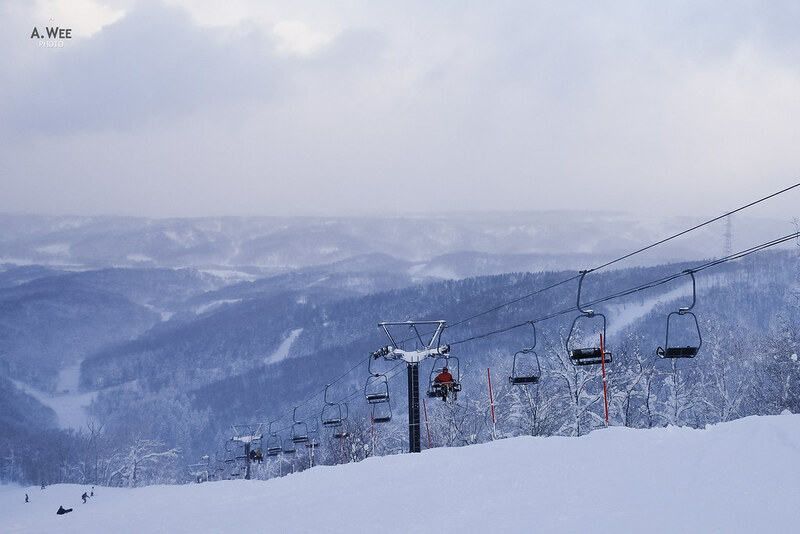 Rusutsu does provide more black diamond marked trails for the expert skiers and snowboarders. Some of them provide the fastest way to get to Mt. Isola from East Mountain and they can be covered in thick snow and are ungroomed, making it difficult for the novice skier. Otherwise there is the long Heavenly Canyon and Heavenly Ridge trail, the latter of which is a groomed black diamond ski run that is not that difficult. In fact I think the Heavenly Ridge can be considered suitable for intermediate skiers under the right conditions. While I did not notice any terrain park in East Mountain or Mt. Isola, there is a park area over on West Mountain as indicated by the resort trail map under the Family chairlift. 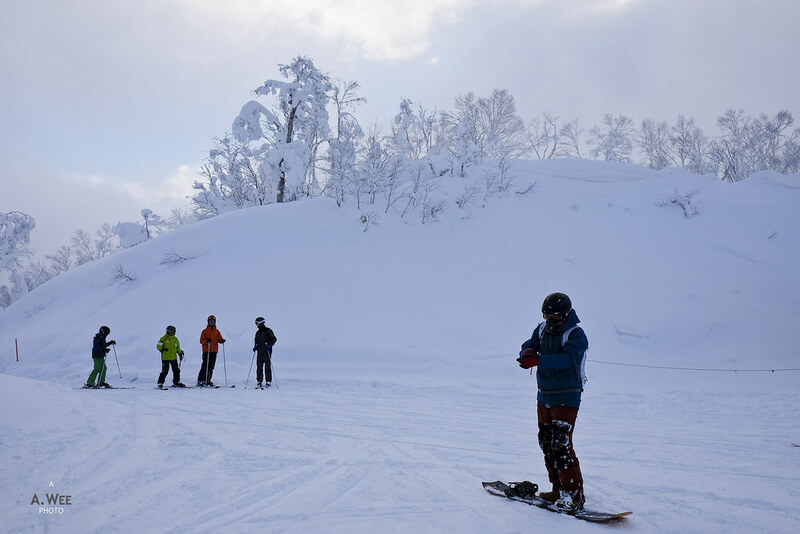 What I did try out was the backcountry in Rusutsu as I had a friend to accompany me here. Based on my little backcountry experience, the runs here are really nice and relatively easier for a first time backcountry experience. The area underneath the Isola No. 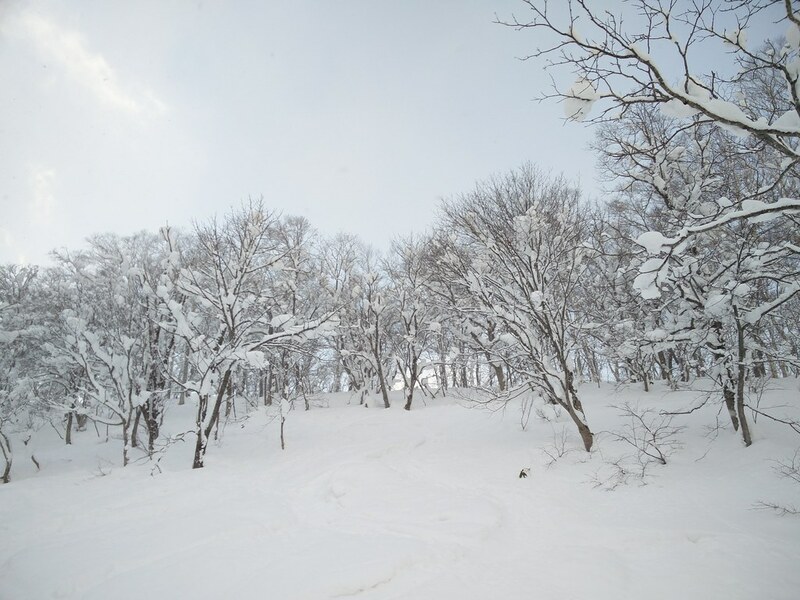 3 quad chairlift is a nice way to explore skiing in between the trees and to experience the full powder experience in Hokkaido! 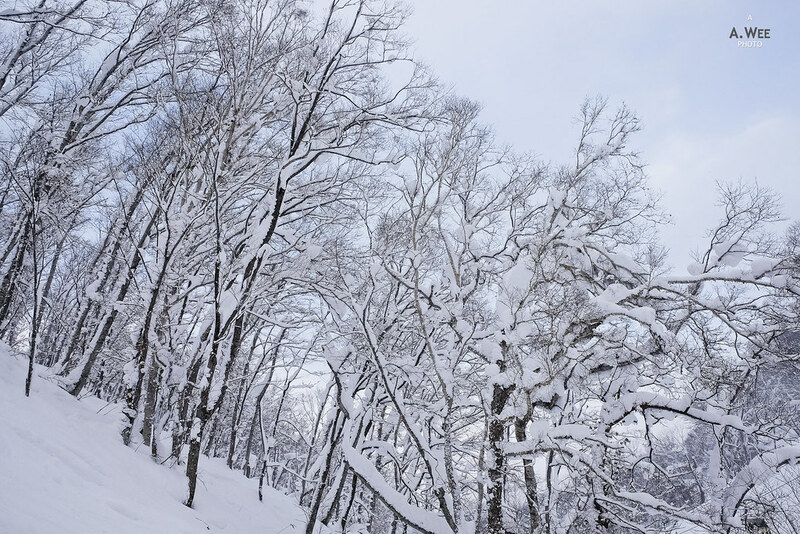 The trees in some parts of the mountain are also fairly spaced out such that it is easier to navigate for someone new to this sort of skiing. One disappointing factor in Rusutsu is that the mountain lodges here feels very industrial like. The architects certainly did not model it after the mountain chateaus of the Alps or those grand wooden shelters found in the West Coast. It feels more like visiting a theme park from the 1980s. For a resort that names its ski runs after well known ski resorts and its lodges after famous ski towns, this was a bit disappointing. The saving grace was it was clean and offers free water for skiers. 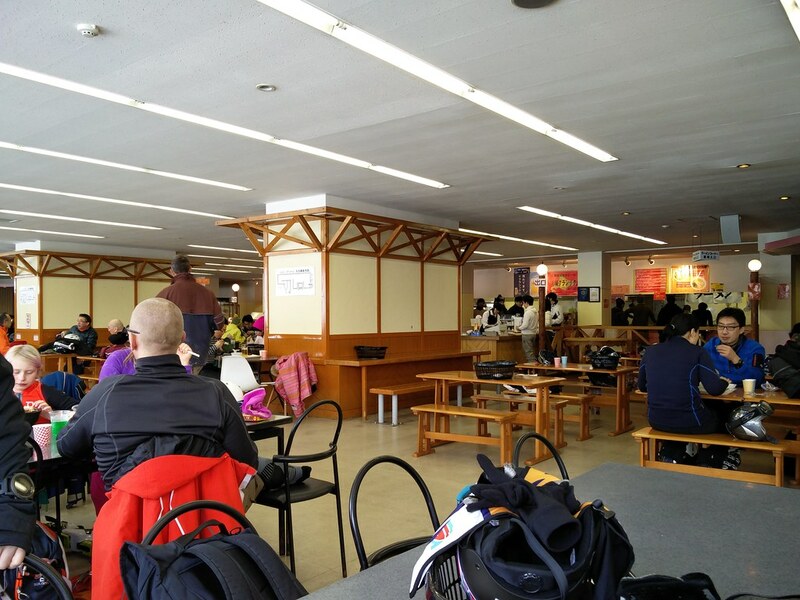 There are 2 main lodges, one at base of the Isola gondola called Cafeteria Isola and the Cafeteria Steamboat. While both can get very packed during lunch hour, it was not difficult to get a seat since they are large enough, with the Steamboat being larger and busier than Isola. Other than these 2 lodges, there is also a ramen stall serving noodles in the Cafeteria Lone Pine under the East Center Station. 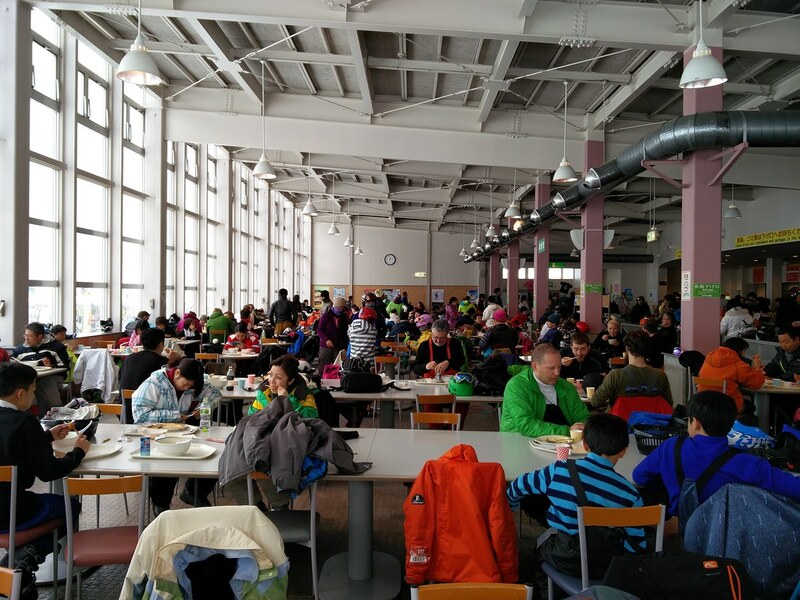 Food sold in both cafeterias (Steamboat and Isola) are more or less similar and the choice was slightly less than what can be found in Niseko, with Japanese food being the major choices, and they seem to be less appealing for skiers who visit here every day for a week. While the food was a tad ordinary, the portions were huge and they are not that expensive either. 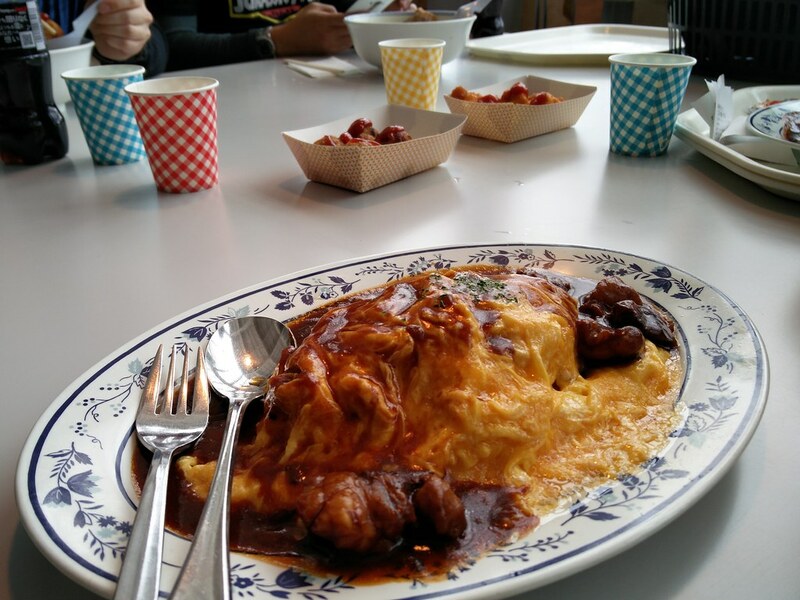 Skiers who grow tired of the curry rice could enjoy alternatives like snacks of Takoyaki and Chicken Karaage. Similar to Kiroro, there is only one major hotel in Rusutsu. What is puzzling though there is no ski-in/ski-out access from the resort into the East Mountain. Skiers staying at the resort can ski out to West Mountain but they need to take the gondola to reach East Mountain. That would surely defeat the whole purpose of staying in the resort here. Furthermore, the higher end Westin Rusutsu is located across the West Mountain and separated by the main road. Thus skiers staying in the more upscale resort has no ski-in/ski-out access which is puzzling as the best lodging options are typically closer to the ski areas. 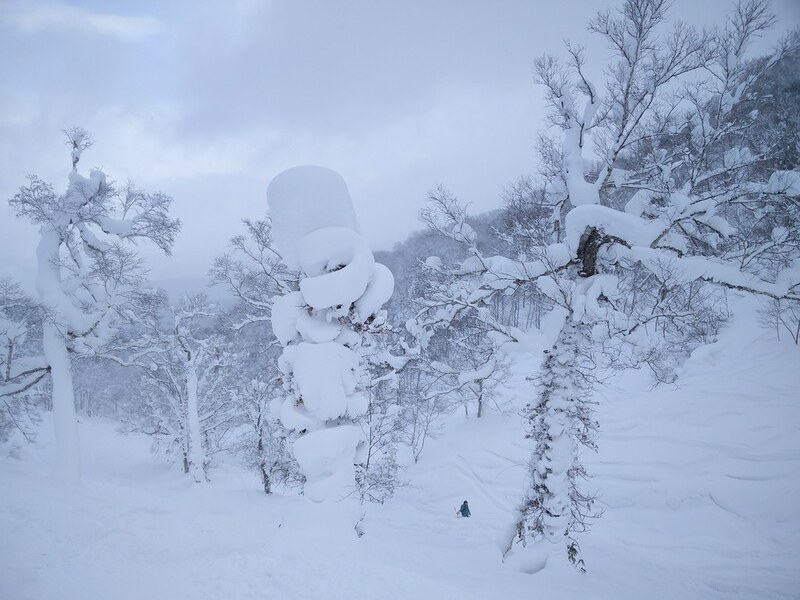 This is one area where Japanese ski resorts need to improve upon. East Mountain and Mt. Isola is totally dead at the end of the ski day, as all the night skiing in this resort is concentrated at the West Mountain closer to the resort. At the end of the day, even the Cafeteria Lone Pine at the base of East Mountain is closed. 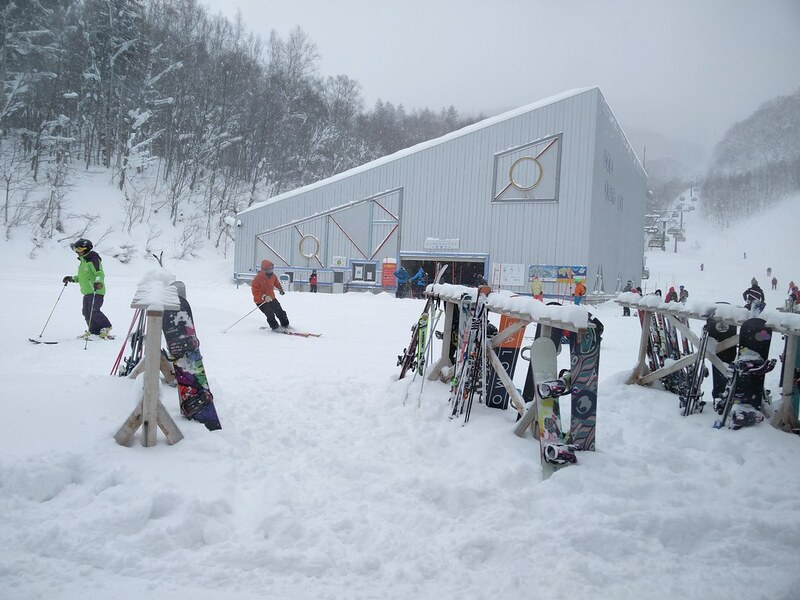 Skiers would just need to head over to the town of Niseko for drinks, or they could just get drinks from the vending machines in the resort. 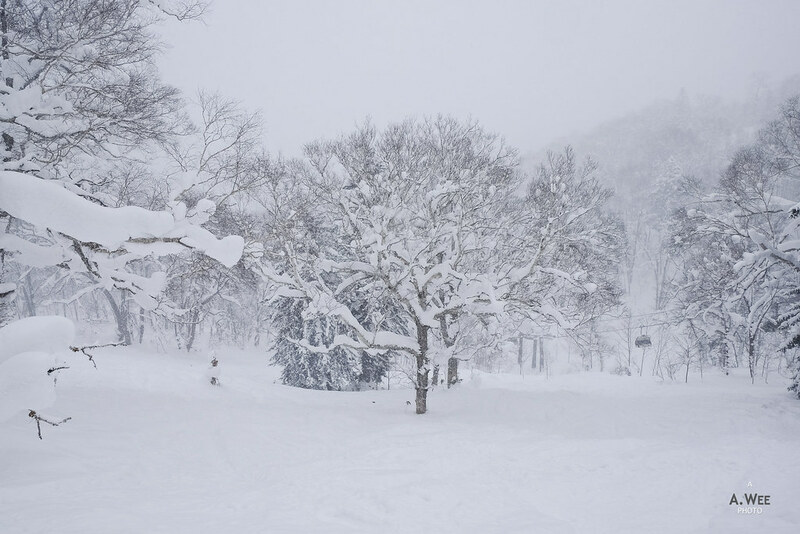 Rusutsu is thus like any other Japanese ski resorts, lacking in any atmosphere for aprés-ski. Again on all 3 of the days I was there, there was snow and it was mostly cloudy. The weather did clear up a little bit sometime while we were skiing but it was not a bluebird day with clear blue skies so I did not expect to see much of a view. From the trail map, it seems the view of Lake Toya and the Pacific Ocean might be possible on a clear day from the top of Mt. Isola while the view from the top of East Mountain should show the summit of Mt. Yotei. 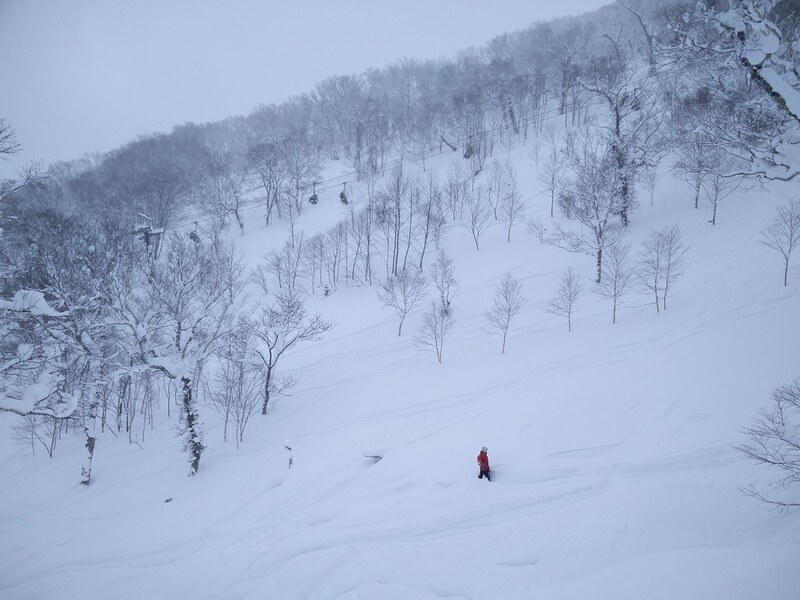 My experience skiing in Rusutsu was wonderful for the amount of powder lines and fresh tracks as we were one of the first on the line for the gondola even when we drove from Niseko. There just was not that much of a crowd here either which means we got to do powder lines over and over. Nothing gets better than that even if the resort is pretty small. And because it was snowing while we were skiing, the runs were still amazing at the end of the day making it endless fun! While this resort is perfect for day-trippers, I doubt I would want to stay in the resort for the lack of any amenities after skiing. 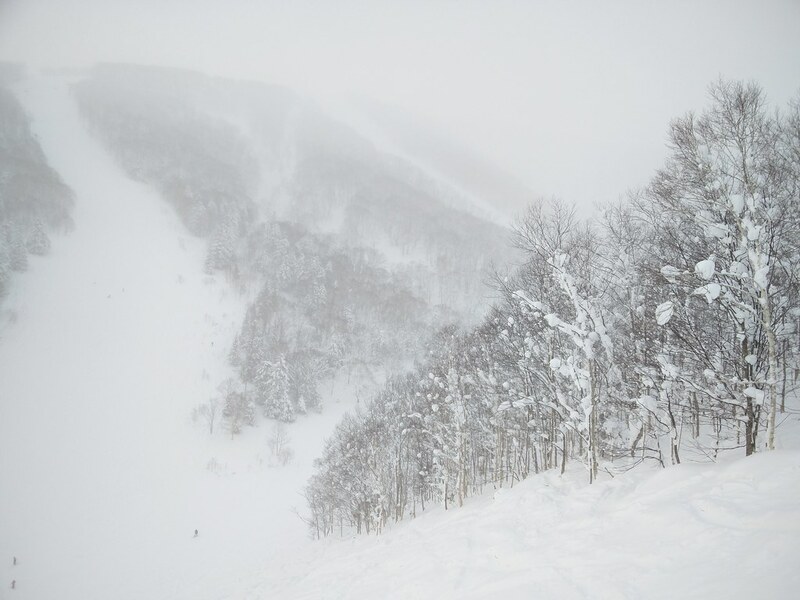 In essence, Rusutsu was one of the best powder skiing experiences in my life just because there was so much of the fluffy stuff here, though I seriously wonder if it will still be as nice during spring skiing.